You’ve been there: big bang redesigns are usually a very, very bad idea. Redesigning and rebuilding an existing website from scratch is risky and unpredictable, and in many cases the level of complexity is highly underrated and underestimated. In mid-2016, Smashing Magazine has decided to make a big switch from the existing WordPress setup to an entirely new design, entirely new architecture (JAM Stack) and an entirely new, GitHub-based, editorial workflow. 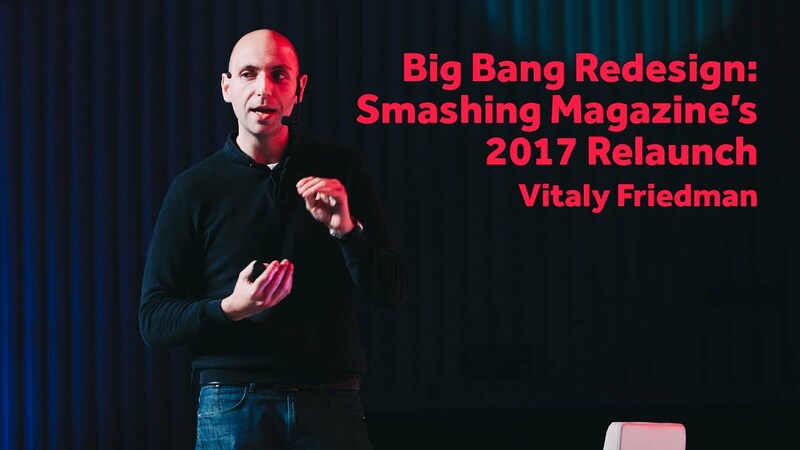 In this talk, Vitaly will share some of the insights into Smashing Magazine’s Relaunch in 2017 — with decisions made, failures, successes, lessons learned and shady’n'dirty techniques used along the way. Among other things, you’ll learn how Smashing Magazine uses HTTP/2, service workers and server-less architecture with static site generators to boost performance, with a dash of React, Flexbox, CSS and the peek into the new GitHub-based editorial workflow here and there. Beware: the session will contain at least 27 illustrations of cats! Vitaly Friedman loves beautiful content and doesn’t like to give in easily. Vitaly is writer, speaker, author and editor-in-chief of Smashing Magazine. He runs responsive Web design workshops, webinars and loves solving complex UX, front-end and performance problems in large companies.